Join us on Wednesdays this summer, starting June 27th, from 11 a.m. to 12 p.m., for Front Lawn Fun: Games from the Past. 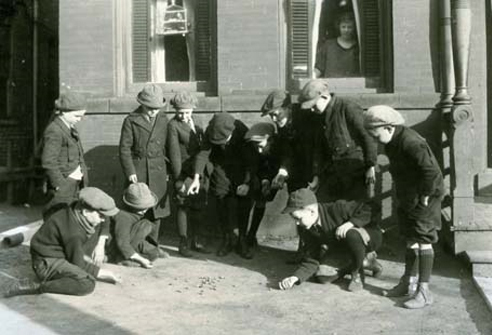 This free, family-friendly activity will feature outdoor games from yesteryear. Weather permitting, you'll find us on our front lawn along Boulevard stretching our legs and our minds. How did kids play in the past? Toys like Jacks, Jacob’s Ladders, and YoYos have been found around the world for thousands of years. You will get the chance to play with colonial-era replicas of these games, as well as take part in slinky races down our front steps, giant checkers on the lawn, and even decorate your own WWI fighter paper airplane. Grab a friend and play The Snake Game, where you can try your luck in getting George Washington back home to Mount Vernon. The activity will take place on the front lawn by the Boulevard (weather permitting), or in the Bluford Classroom (rain and heat plan). The event is free but does not include admission to the Virginia Museum of History & Culture.